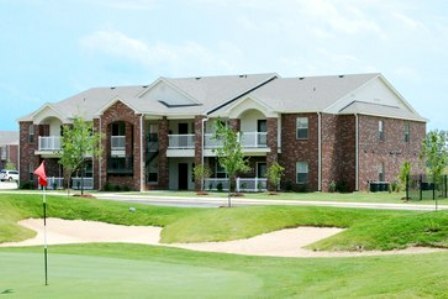 Blessings Golf Course is a private 18-hole golf course located in Fayetteville, Arkansas. 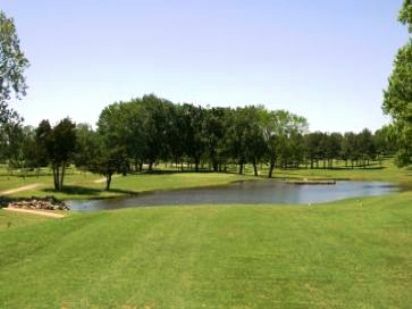 The Blessings golf course first opened for play in 2004. 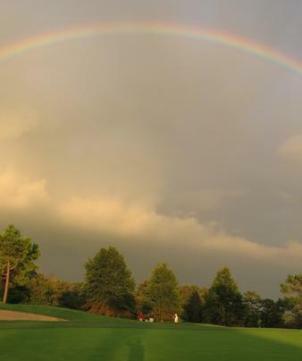 The course was designed by Robert Trent Jones, Jr.
Robert Trent Jones Jr. and owner John Tyson (Chairman and CEO of Tyson Foods) had a number of goals in mind when designing Blessings Golf Course. 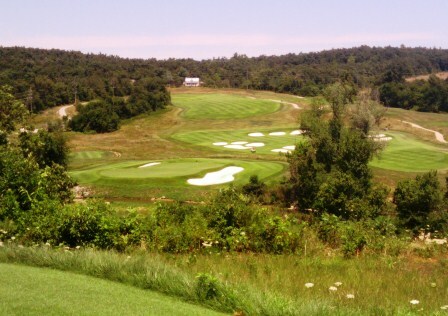 Mr. Tyson wanted a flexible golf course where shots required thought and precise execution. He also wanted a course demanding enough to host major collegiate tournaments. 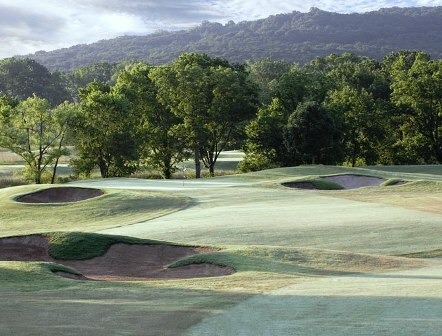 Blessings is home to the University of Arkansas Razorbacks golf teams. 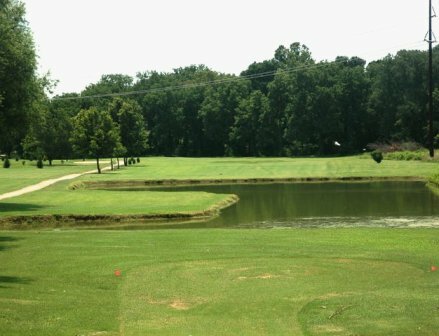 To meet the dual goals of toughness and flexibility, Jones created a unique golf course with three adjustable holes. 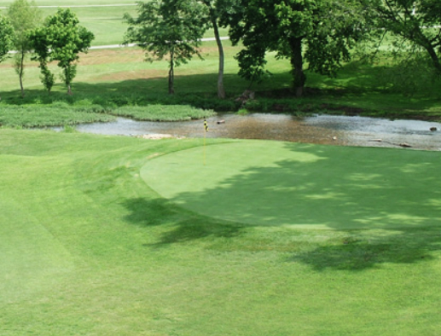 #8, #9 and #16 can be configured to play to different pars, depending on course setup. From the back tees the course measures a whopping 7,527 yards with a 79.1 rating and a 153 slope qualifying it as one of the most difficult golf courses in the U.S. Its routing is a true "out-in" design, in that the 9th hole does not end at the clubhouse. 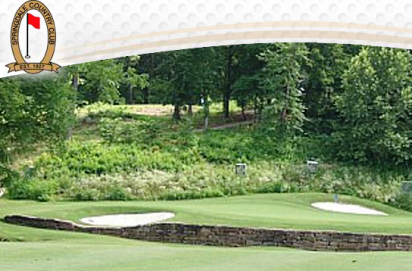 Blessings features three par-5 holes on the "out" nine and three par-3 holes on the "in" nine, for a par of 37-35-72. Its topography is characterized by two distinct landforms-the Clear Creek floodplain and a plateau that rises to 65 feet above the floodplain where it's bisected by a series of ravines. Both the outward and inward nines climb up and down between the two topographies, creating drama and variety on a course. 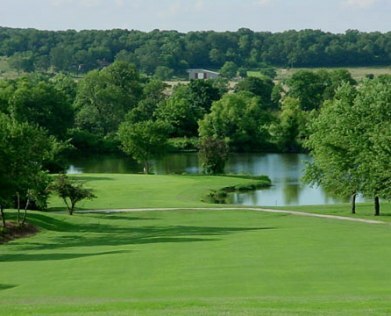 The course's hilly terrain creates numerous sidehill lies, dramatic elevation changes, forced carries over ravines and valleys, and large, undulating greens, with Clear Creek in play on several holes. Accuracy off the tee is a must.